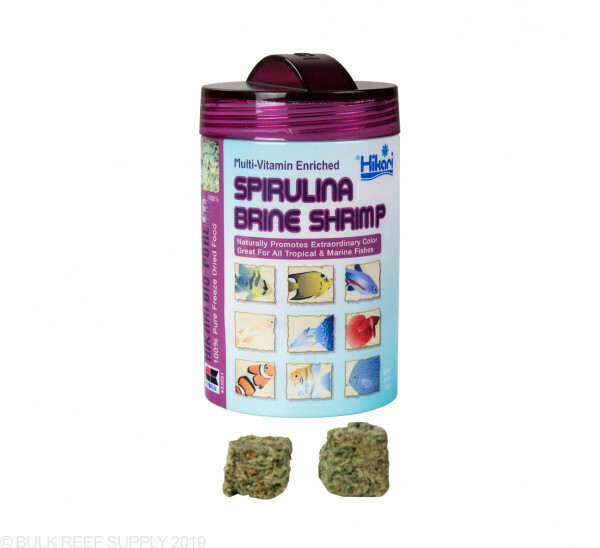 Try Freeze-Dried Bio-Pure Spirulina Brine Shrimp from Hikari as part of a daily diet or as a treat for your tank inhabitants. 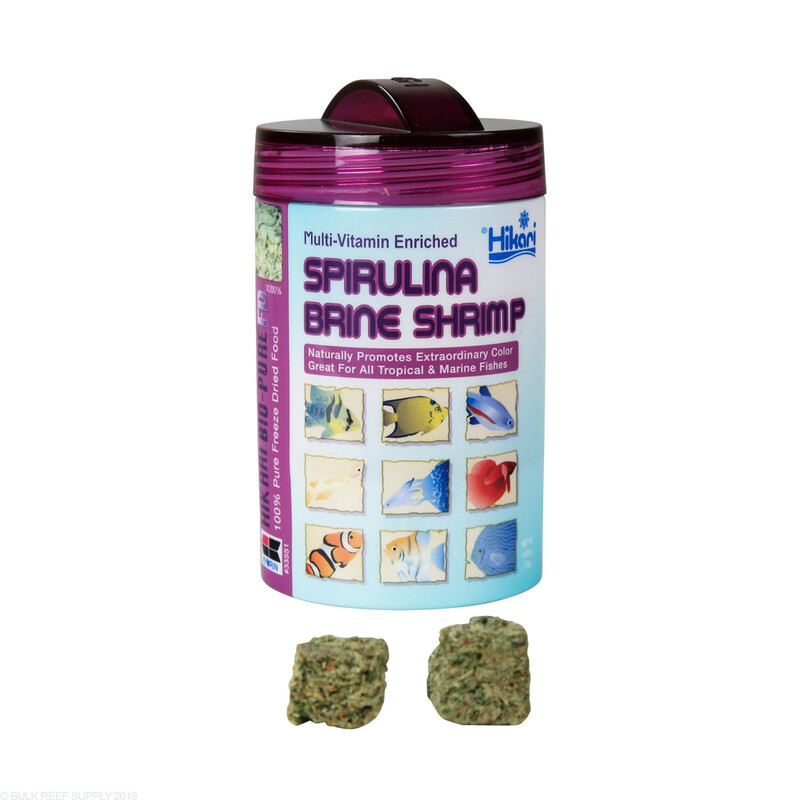 Vitamin-rich Spirulina Brine Shrimp will help reduce stress and stress-related diseases. 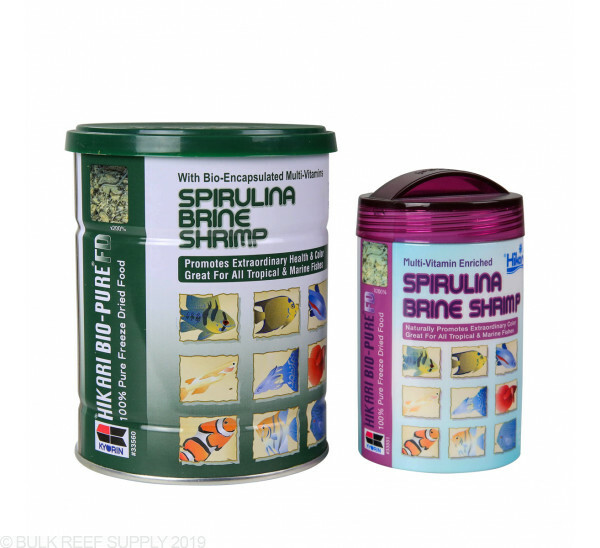 I do think my fish loves this stuff. What I like about it is that it comes from Hikari, so you can't go wrong. Only issue, it takes a while to sink, it'll float on top till it gets wet. On top, my clowns eat it up, then when it gets wet from my Gyre pumps, as it sinks, everyone else eats. This product was soaked in garlic and tank water but still floated on the surface! It was a waste since none of my reef fish would eat it. I used this in my main tank and feeding in my QT. 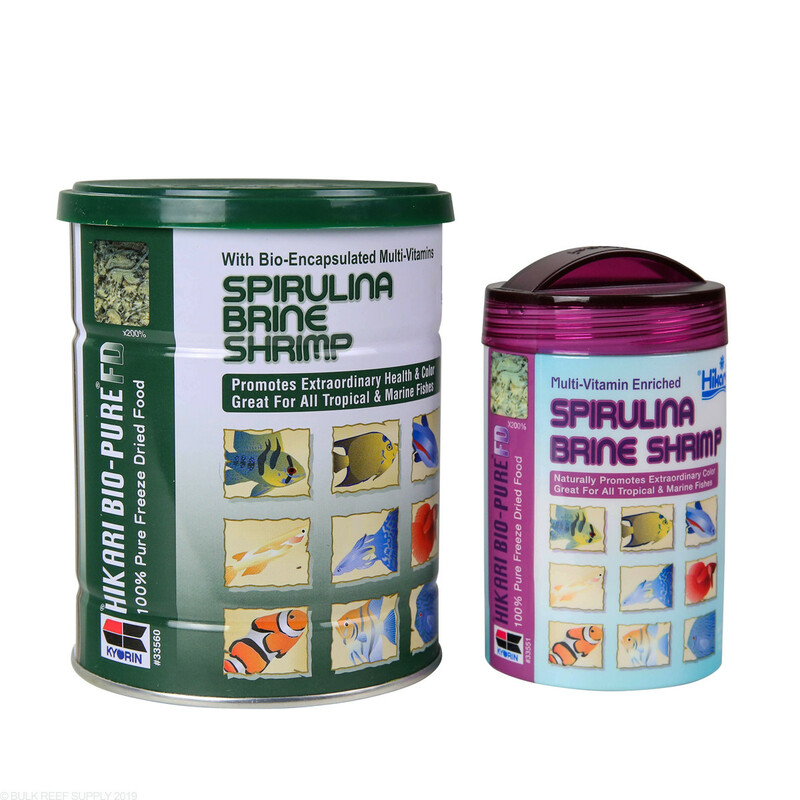 The fish love it and finicky eaters go after it also, as well as my shrimp and hermits. I haven't noticed it clouding my tank and I break the cubes up. Once the cubes re-hydrate the shrimp are full size and not chopped up bits. Great food. Feet it to both my reef tanks, I mix feeding different types of food & the Firefish, gobies, clownfish, yellow tang eat it up fast!! !